Who Receives Donor Embryos? The use of donor embryos may be considered when a woman has low ovarian reserve, a history of recurrent pregnancy loss, or for risk of transmitting genetic disease. What is the Difference Between Using an Egg Donor and Adopting Embryos? Egg donation involves the use of another woman’s eggs and your husband or partner’s sperm. The donor is matched with an intended parent and then undergoes a course of injections to stimulate egg development. Eggs are retrieved surgically and embryos are created. 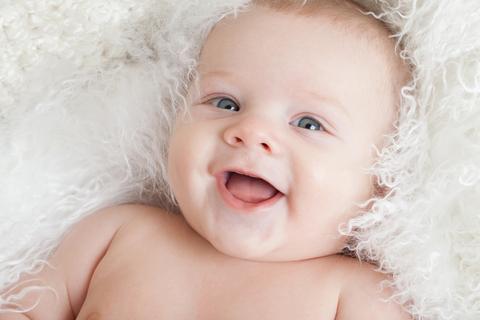 Embryo donation involves the use of already created embryos. These embryos are donated by couples who have undergone IVF and completed their families. Embryo donation does not allow for sperm selection. Are The Embryos Screened For Disease? Yes. All couples who undergo IVF at our facility are required to undergo infectious disease testing within 1 year prior to embryo creation. The Federal Drug Administration requires all egg donors and sperm donors to undergo very specific infectious disease testing, to ensure that no infectious tissue is transmitted to the receiving individual. It is important to remember that the donor embryos were created for intended use of the genetic parents (sexually intimate partners) and therefore FDA testing is not required. When the genetic parents sign the consent to donate the embryos, they will be asked if they are willing to undergo FDA testing. Should they decline, we may still proceed, as long as the recipient has been informed and accepts risks. What Information Will I Know About My Donated Embryo(s)? You will not be provided with any demographic or identifying information of the genetic parents. We will provide information on Race, Medical History, Genetic Testing (if performed), Blood Typing (if known) and Infectious Disease Status. What Testing Do I Have To Undergo To Prepare To Receive A Donated Embryo? Evaluation is going to be similar to any patient undergoing IVF. We need to perform a mock embryo transfer & office hysteroscopy, to ensure the uterine cavity is acceptable to receive an embryo. We will need to obtain cervical cultures and a copy of your most recent pap smear. If you are over the age of 40, we require a copy of your most recent mammogram. You will have a day 3 ultrasound and blood hormone levels; we will likely place you on the birth control pill in order to keep your cycle on time. Your embryo transfer will likely occur approximately 6 weeks from this baseline ultrasound. Why Do I Have To Meet With A Counselor? This is offered to both the embryo donor and the recipient. However, this is a requirement for all recipients. This session is designed to address the complexity related to receiving donor embryos. This consultation will include a discussion about feelings associated with maintaining anonymity between the recipients and the genetic parents. You will also be counseled about issues concerning non-biologic parentage including disclosure (or non-disclosure) to the potential children. In cases where the donors are known, the potential relationship between the donors, recipient and subsequent children should be explored. How Many Embryos Will Be Transferred? This number will vary on a case-by-case basis, depending on the number of donated embryos available. In general, no more than 1 or 2 embryos will be transferred during a single cycle. What Are The Chances Of Achieving a Pregnancy? This varies, and depends on embryo quality. We will be happy to discuss the predictability of success, depending upon your unique situation. How Soon Can I Proceed With Donated Embryos? Wait times to receive donor embryos vary. When patients are interested, they are placed on a wait-list. As embryos become available, we will contact the individual who is number one on the list. If that individual is not interested in the embryo(s) available, they will not lose their place on the list, but the embryo(s) will then be offered to the next individual on the list, and so on. Average wait time may be up to 12 months, however could be shorter or longer. How Much Does A Cycle Using Donated Embryos Cost? Again, this cost varies. However, it is a much more affordable option than using an egg donor or adoption. Please contact us via our online contact form to find out more about our service fees.